Download the individual Specifications, Learning Outcomes and Assessment Criteria in the below lists. 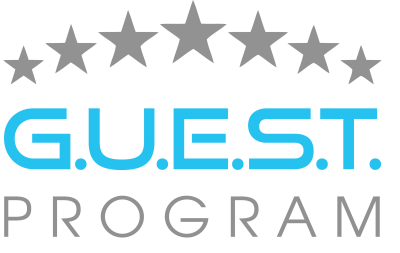 The GUEST Program is comprised of three levels, Introduction, Advanced and Management. with practical and relevant modules to be completed at each level. When all modules have been completed at each level a Certifiate of Competence can be applied for, giving prospective employers within and outside yachting a clear understanding of your abilities and skill level. Make your new job easier for yourself and your colleagues by gaining the necessary basic skills and knowledge for your new role on board. These short courses provide a solid introduction to your new role as an interior crew member on board a Super Yacht. The Introduction training platform teaches the basic skills required to ensure that when you take your first position you are bringing some relevant skills and value to the job. This is a high end industry and there is no room for errors. Heads of the interior department will not have the time to teach the expected basic skills needed to perform your role as a Junior Stew; take the initiative and complete some basic training before considering a job in the interior department of a yacht with the GUEST Introduction entry level training. This is an “introduction” to your department and the demographics and hierarchy of the yachting sector. Know what will be expected of YOU in your role within the Interior department. Help with interview techniques and with your CV. You will learn about personal grooming and presentation and how essential it is to have an attention to detail. 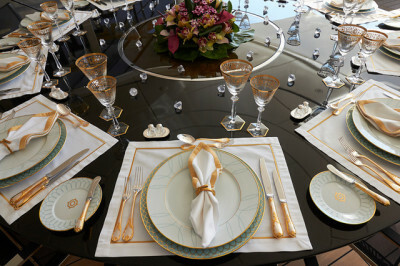 You will realize the essence of etiquette, interacting with guests and the different cultures. ·You will learn the importance of communication, discretion and your role as part of a team. Seamanship and safety, the variety of service techniques, basic wine, bartending & mixology skills, laundry services and professional ironing, housekeeping and the value of the materials, surfaces, tableware and the priceless artefacts you will be charged with preserving and cleaning. Once you have a few seasons of experience under your belt you may be ready to progress towards a more senior role leading to a Management position. Until then, it is great to work on your intermediate skills. There are a number of short modules at Advanced level, leading to the Senior Stew CoC. These modules include key information for those who are at operational level and advancing to a senior role on board. The prerequisites and expected knowledge at this level is at least GUEST I or Hospitality level 2, with 12 months of hands on experience on board with 60 days of guests on (this includes any days you a have guests on-board, are serving lunch or canapés & drinks, and have the yacht set up for guests). With the combination of experience, following the on board Training Record Book and mentoring from your Chief Stew, you should be ready for the Advanced level of training. The combined modules teach you the fundamentals of running the interior department. How to operate the administration and management systems. Have an understanding of the human resources procedures. You will be taught how to implement and manage all food and beverage operations outside the galley. How to manage and develop events and destination experiences for the guests. Serving, storing and handling cigars. Have training on managing the valet and housekeeping services, including laundry and laundry maintenance plans. You will learn how to store, handle and maintain fresh flowers and plants as well as create amazing flower displays. Good understanding of all hot beverages and beverage service techniques. Have a great understanding of the broader world of wine and practical & professional Sommelier service skills. Be able to read wine labels, wine matching principals, wine list construction, storing wine and stock rotation as well as the ability to guide guests through a wine list. Learn speed and efficiency in bartending and mixology skills that are adapted to the yacht environment. First Aid training up to STCW Medical First Aid. As the front line to the guests, it’s important to have the training in maritime first aid. Seamanship skills are include in the assessments of the Training Record Book, and the tender driving course. The tender course is a great skill to add to your CV and skill set, as often on the smaller yachts you will need to assist with collecting provisions. The Yacht Rating certificate is part of the Training Record Book and another useful qualification to hold for the manning requirements on some yachts. This level is for those who already have on board experience at an advanced level and are ready to move onto a Chief Stew, Head of Department position. As one of the Heads of Department, it’s vital you have the skill sets to be able to manage and lead your interior teams. As the frontline to the owners and guests, it will be YOU that they will be trusting to be calm, effective and professional in all areas, including their safety, the administration and accounts, the service they receive and the efficiency of the teams you are responsible for. The prerequisites and expected knowledge at this level is at least GUEST II or Hospitality level 3, with a total of 24 months of hands on experience on board with 120 days of guests on (this includes any days you a have guests on-board, are serving lunch or canapés & drinks, and have the yacht set up for guests). Half this time should have been completed while employed in a senior position on-board. The courses are designed to give you the tools to lead and manage a team confidently and successfully, as well as proficiency in accounting and SMS (Safety Management Systems) which most of the yachts these days adhere to. You will learn how to manage the interior yacht operations efficiently. Implement and manage a professional administration. Manage and monitor the human resources processes and guidelines. Create, manage and implement all your standing operation procedures in the interior. Understand and implement the finical planning and accounting for the interior. Learn how to manage effectively the event and destinations experience and planning. Effectively lead a team and be able to mentor and motivate your departments. Teaching you how to become a great leader to increase performance from your crew. As the front line to the guests and owners, these courses are there to compliment the on board safety dills as well as give you the confidence to manage an emergency situation following the ships procedures. The advanced levels of STCW training in safety include sea survival, firefighting and first aid.